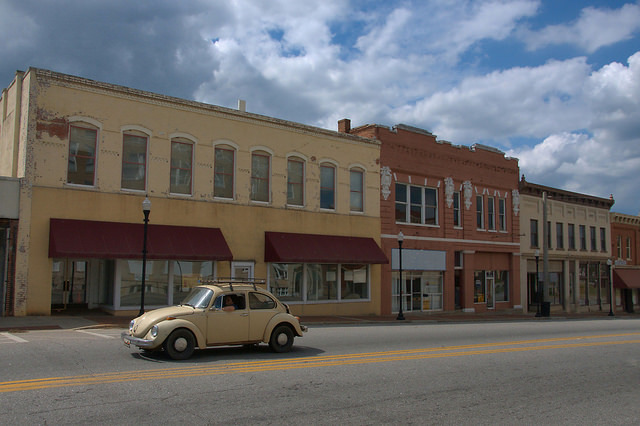 Oliver Street runs right through the heart of downtown Elberton and it’s lined with historic buildings. This was one of my favorite shots from the trip. That’s Sheri Brooks Wiggins in her 74 super beetle named Greta! I love the rich history that you have captured in Elberton, Ga. It is definitely something special about this town. I just bought a building downtown on Oliver Street and I would love to display some of your pictures, as well as see other pictures if you have any.